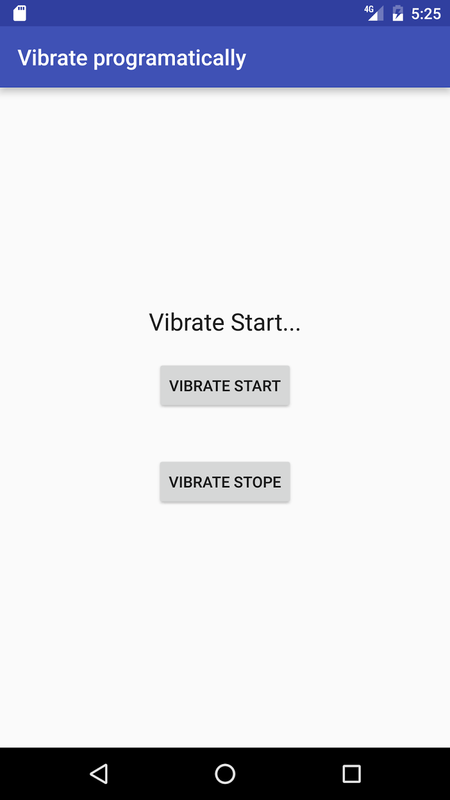 Android Example –How to Vibrate android device programmatically? Step 1:- Add bellow permission in your manifest file. Step 2: Get Vibrate System Service. 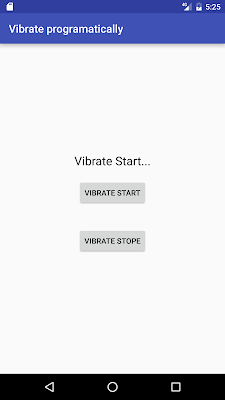 Step 3: Set Vibrate Time period in milliseconds and Time Pattern. Time Pattern means like start/stope vibration.